Year-to-date total tonnage for Port Houston through March is at 9.7 million, reflecting a 2 percent increase compared to the same period last year. Results showed that bulk material and steel were the primary drivers for the growth. 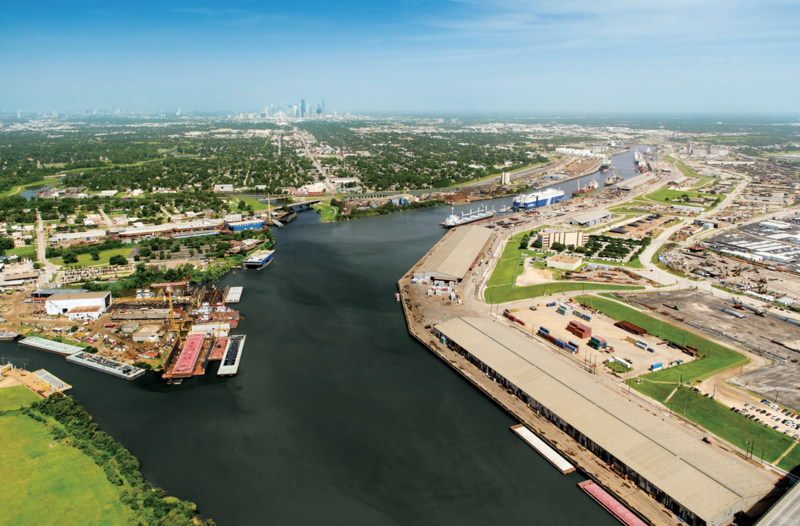 “We continue to see positive activity for all sectors of business through Port Houston facilities,” Port Houston Executive Director Roger Guenther said Monday to the Port Commission of the Port of Houston Authority during the April meeting. Cargo showed year-to-date increases across all major lines. Steel tonnage overall increased 14 percent with 875 thousand tons and steel imports had grown by 11 percent. Container volume grew two percent with 617 thousand TEUs tallied year-to-date, and bulk cargo recorded 2.6 million tons reflecting a 14 percent YTD growth driven primarily by export coal. “Solid operating and financial results for the first quarter of the year speak to the strengths of strategic guidance provided by the Port Commission, a dedicated Port staff, and a productive workforce… all of which provide a competitive solution for freight to move through Port Houston,” Guenther concluded in his remarks to the Commission. The Port Commission approved the 2017 Comprehensive Annual Financial Report (CAFR), which signifies the conclusion of the Port Authority’s annual financial statement audit by Grant Thornton LLP. The Authority received an unmodified or “clean” opinion on the financial statements and was commended for open and effective communication with the auditors. The Port Commission was updated on channel development matters during its Dredge Task Force Committee meeting. Chairman Janiece Longoria commented that increasing the awareness of the importance of the Port and the needs for continued investments in the Houston Ship Channel and landside transportation network are critical and that highlighting the impacts of the recent flooding due to Hurricane Harvey and the needs for recovery and resiliency in the Houston Ship Channel are issues that should be reminded of continuously. Chairman Longoria also mentioned that Port Houston is the host sponsor of the third Annual JOC Gulf Shipping Conference in Houston through Apr. 18. She remarked that this event offers a great opportunity for Beneficial Cargo Owners (BCOs) and shippers across multiple industries, among others to share and discuss how to increase the efficiency of commerce through Port Houston and other Gulf Ports.